Give Big Pittsburgh is TODAY, and we are asking you to join us in our efforts to make this the most awesome day of giving the nation has ever seen! We are asking you to take five minutes to give to Ruth’s Way, Inc. (just click on the BLUE LINK). After that, you can give to other nonprofits that do work that you support or just kick back and watch how high the giving can go at www.givebigpittsburgh.com! Your donation of any amount will help make a difference in the life of a YOUNG LADY! 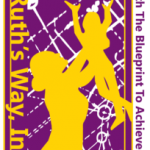 Make a donation at Ruth’s Way, Inc. Spread the word. Text a friend. Forward this message. Post on Facebook, Twitter and Instagram using the hashtag #GiveBigPittsburgh. Oh, and you can also just tell someone in person – that works, too.